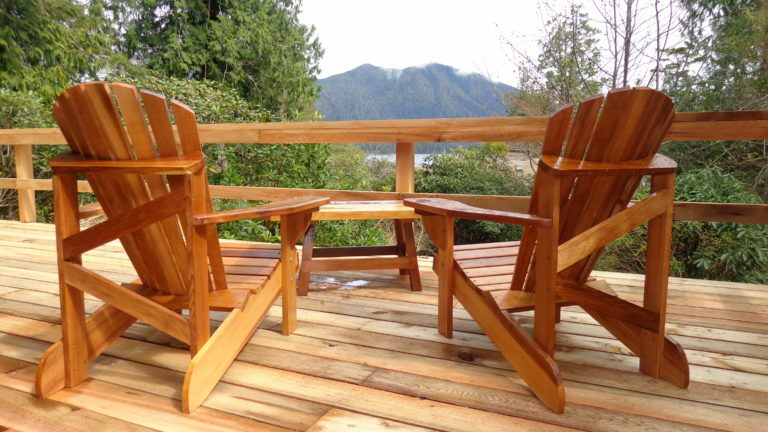 Enjoy the breathtaking views of Clayoquot Sound on our spacious 300 sq/ft cedar deck. 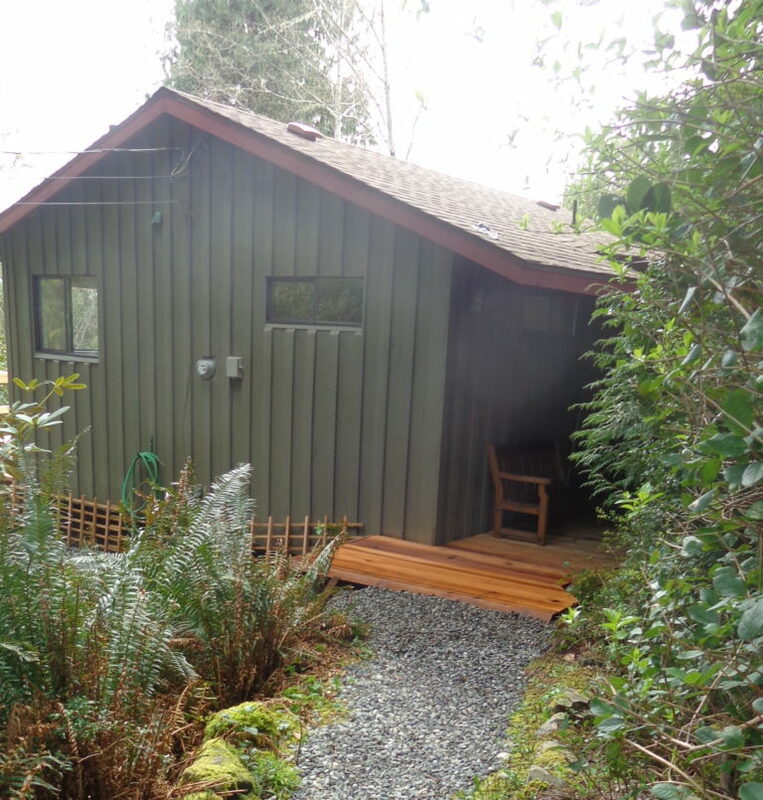 Surrounded by old-growth cedar trees and gorgeous blooming Rhododendron gardens; our secluded cabin provides a spacious get-away for up to four guests. Our fully-furnished cabin allows you to escape and relax in comfort and style. 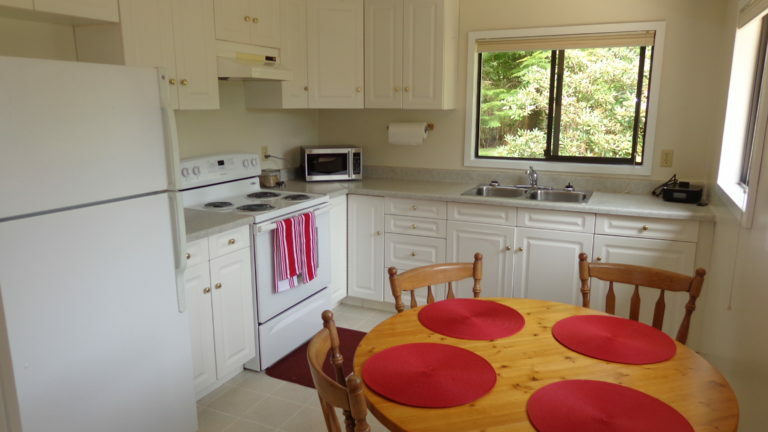 We are located within a short 5-minute drive or a leisure 25-minute walk into downtown Tofino. 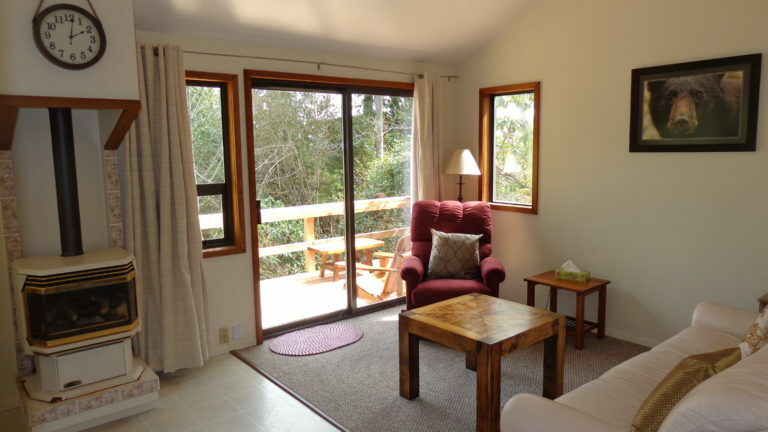 The cabin is also conveniently close to old-growth forest trails and our famous sandy beaches along the Pacific Rim coast.